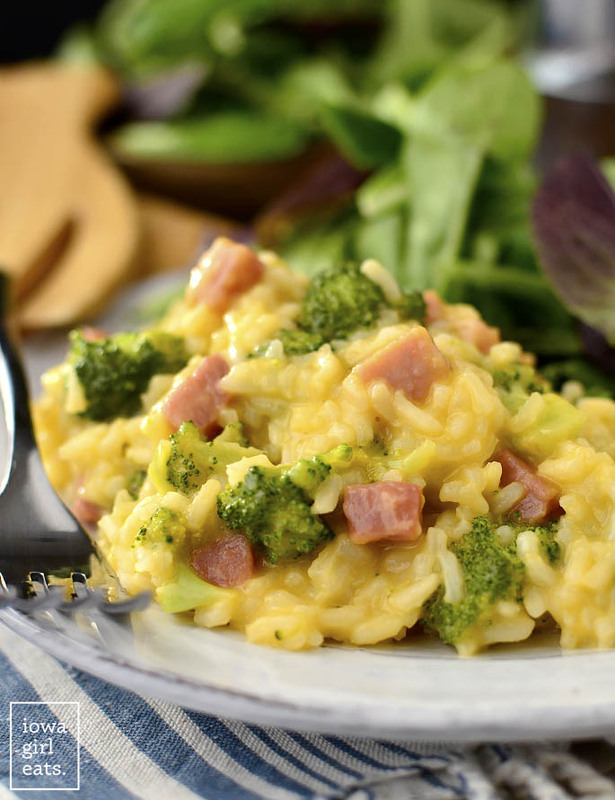 5-Ingredient Cheesy Ham and Broccoli Rice Skillet is a 1 pan, 20 minute, gluten-free dinner recipe that will leave you licking your plate clean! Hey you, I hope you’re having a great start to your week! I’m still slightly recovering from the weekend! I just started working with a company to produce cooking videos for the site (insert all the monkey-covering-his-eyes emojis – eeeek…) and this weekend was our first full-day shoot. We’re talking 8 hours, 6 recipes, 4 loads of dishes, endless amounts of pressed powder, and one very tired IGE. I fell asleep at 8pm for two nights afterwards, but gosh it was fun! I seeeriously dislike seeing myself on camera but it’s nice to switch things up at work every now and again, right? With Christmas coming up and ham – GLORIOUS HAM! 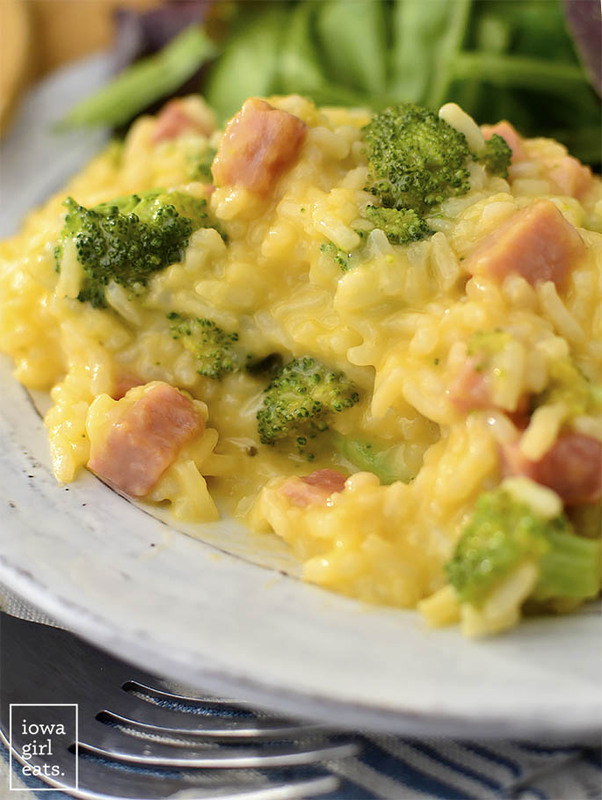 – being served at the holiday dinner table (while I don’t care much for turkey, I am ALL over brown bag baked ham) I thought this was the perfect time to create a ham and broccoli-cheddar version of the salsa verde-based skillet. This is a dish you can make with holiday leftovers but will continue to add to your weekly menu all year round because it’s so simple and delicious. Plus, if the Cheesy Salsa Verde Chicken and Rice was a little spicy for your tastebuds, the mild broccoli-cheddar version will leave you licking your plate clean. 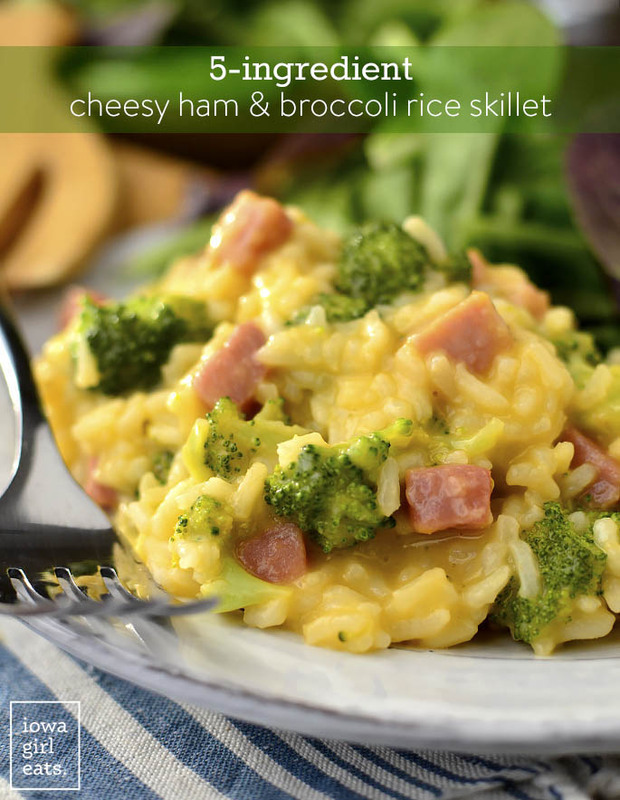 Heck, you can even leave the ham out if you like – the cheesy broccoli rice makes an awesome side dish too. 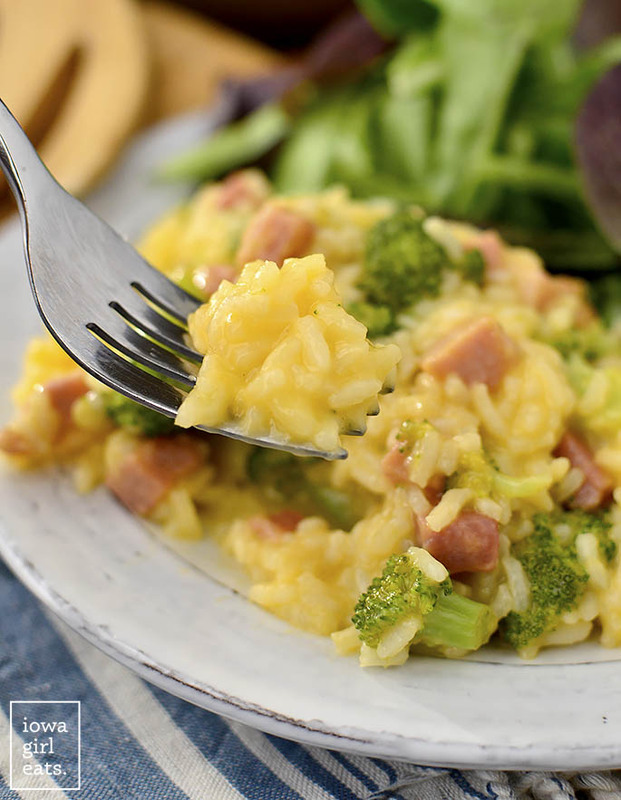 Now, this recipe tastes like one of those horribly delicious yet salt and preservative-packed rice side packets that everyone secretly loves, except it’s made with 5 simple ingredients: chicken broth, rice, broccoli, ham, and cheddar cheese. Creamy, perfectly cheesy, and reheats like a dream. Who’s ready to get after it?! Start by combining 1 cup long grain white rice in a saucepan with 2-1/2 cups chicken broth. Bring to a simmer then place a lid on top, turn the heat down to low, and cook for 6 minutes. 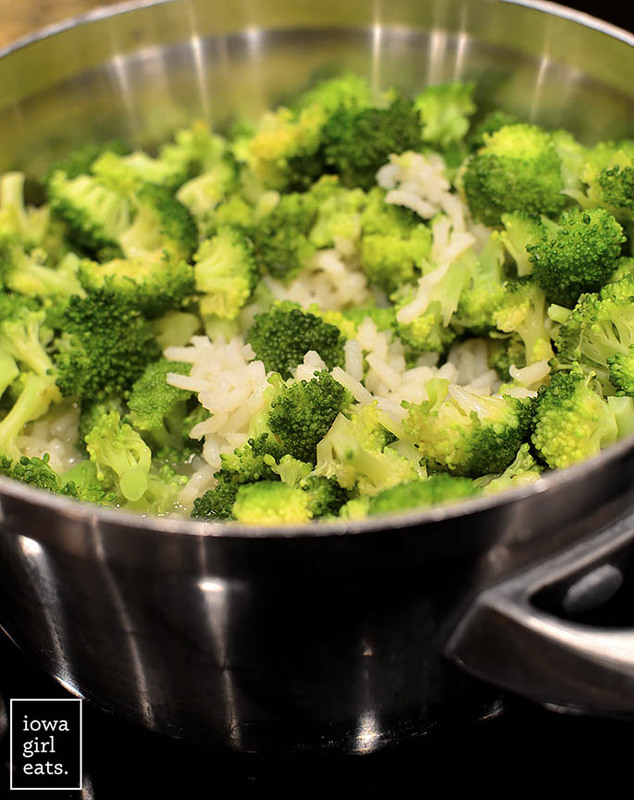 Add 6oz broccoli that’s been chopped into small florets then replace the lid and cook for another 9-10 minutes, or until the rice and broccoli are both cooked through. Next sprinkle in 6oz freshly shredded sharp cheddar cheese (skip pre-grated cheese – freshly grated melts so much better!) then stir until smooth. Finally add 8oz ham steak that’s been chopped into bite-sized pieces then stir until warmed through. That’s all she wrote my friend! 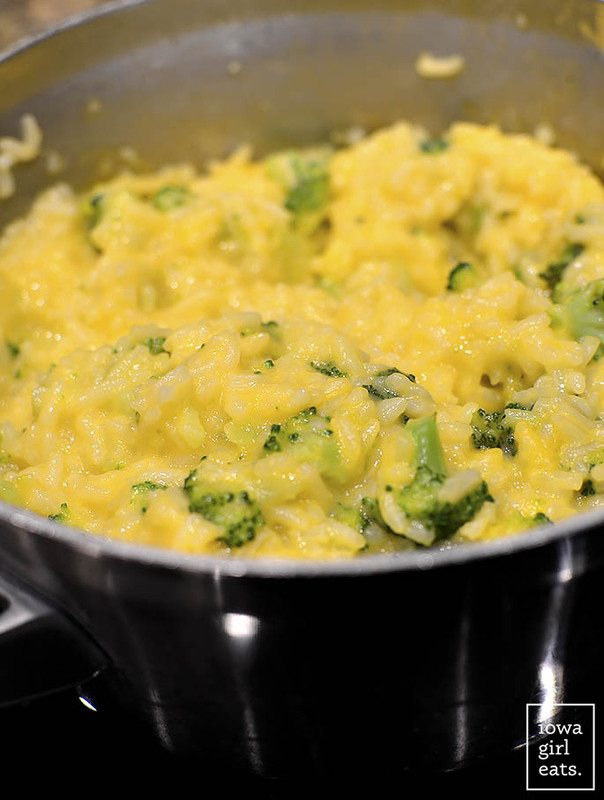 Let the rice sit and thicken for a few minutes before scooping onto plates and devouring. I hope you love this easy, cheesy, 1 pot meal – enjoy! Add broccoli (no need to stir) then place the lid back on top, turn heat up to keep broth at a gentle simmer, and then cook for an additional 9-10 more minutes or until the rice and broccoli are cooked through. Turn off heat then sprinkle in cheese and stir until completely melted. Stir in ham until warmed through, then serve. Thanks for your feedback, Em! Yum! This looks like the ultimate comfort food. Cheesy anything is delicious! This is perfect for tonight as I have leftover ham from last night’s meal! Can’t wait to see the videos as seeing you make something encourages me to try new things. 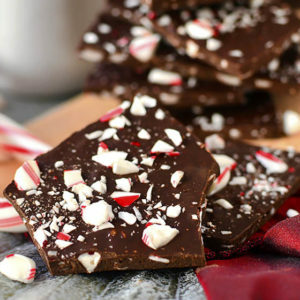 You always make recipes that are not complicated and easy to make-even as a last minute idea! Thanks Shirley – appreciate your support! Awesome! Totally, totally awesome!…and so easy for a “clean” diet/lifestyle. I’ll share this one with my family and friends who love broccoli and want their kids to…too. Love your blog. Love your family. Love your food! Love YOU! ❤️. Keep doing what you do! I made this for supper tonight but used chicken instead of ham because that’s what I had. And, I used nut cheese instead of regular cheese because I’m lactose-intolerant. I sprinkled a little real cheese on my kids’ bowls just to make them think it was “normal.” They loved it! I loved it! And it was so easy!!! Thanks for a great, versatile recipe!!! Yeah!!! So glad you tried it, Manda!! I really appreciate you leaving a star rating, too! I can’t wait to try this!!! Thanks for all of your family friendly recipes! I’m all for the minimal ingredient recipes all the time, but one pan recipe is my real thing. Fewer dishes make me very happy! Just made this for dinner. So good, comforting, and cozy. My family gobbled it up. Best part- start to finish less than 30 mins (including children interruptions, neighbor chats and feeding the animals!) Thank you. 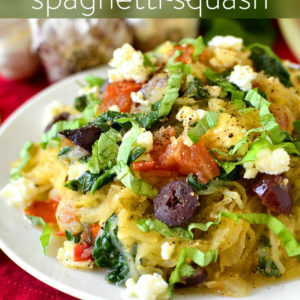 Definitely a keeper and easy to throw in any veggies! 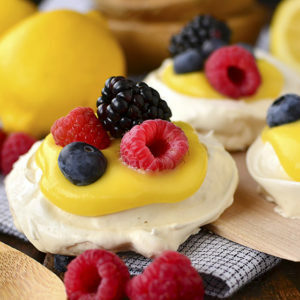 1st time commentor, many times maker of your recipes! (Thank you for all you do!) Had to comment on this particular recipe. My mother made a very similar dish when we were growing up. It was called “Gross!” Why Gross? My mom was tired of us ornery kids calling everything she made gross. On this particular evening she had, had enough. So when we asked what was for supper, she told us Gross! To this day, we still call this recipe Gross (even though it is delicious). I couldn’t find ham steak so I made it with cubed pancetta and added extra broccoli and it was delicious. I made this last night with leftover ham. I doubled the recipe due to a very hungry husband and we only had enough leftovers for one lunch each! 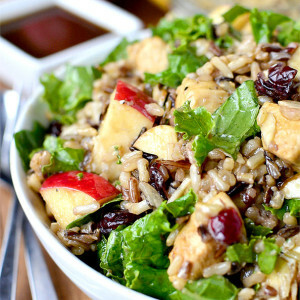 The kids don’t like “mixed food” (ugh) but my husband said “I would eat this 7 days a week”. This is a winner! Thank you! Made this today and the whole family loved it! My all-of-a-sudden picky 18 month old couldn’t stop eating. Thank you for a great recipe! Hi! 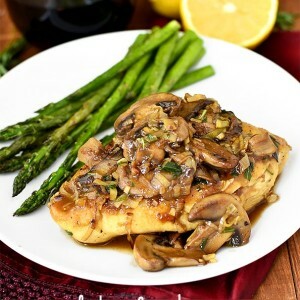 Wondering if frozen broccoli would work with this recipe? Love these simple recipes (Salsa Verde Chicken and Rice is made almost once a week in this house–we love it so!)! 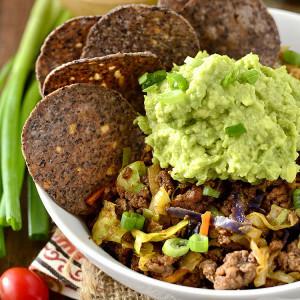 I wonder if you could substitute cauliflower rice to make it low carb? Sounds delicious! Just made this. 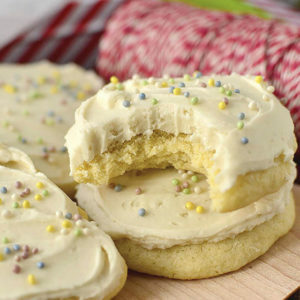 So easy & so delicious!!! The flavor using chicken broth instead of a milk base for the sauce is amazing!!! Will be making this again. Could you use Cauliflower rice? I’m sure you could but you’d need much less liquid as the cauliflower rice won’t absorb as much as regular rice. Love it! I’ve made it the original way, but this time after I started cooking, I realized I didn’t have broccoli. So I threw in frozen spinach and it was excellent! Thanks for another winner! This is one of our favorites (along with the salsa verde rice dinner) but I put the ham in to heat through before I add the cheese as I learned from you to take the pan off the fire before you add cheese and the dish would tend to get too cool. OMG this was fabulous!! Will definitely be making this again & again. Can this be made a day ahead and reheated next day? My real question is, will the dish be dry the next day?